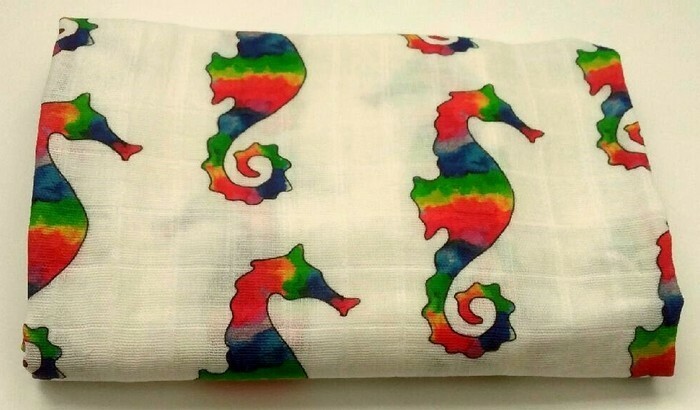 This is a babywrap made of 100% organic cotton muslin - white with a rainbow seahorse print. It is light weight and great for hot days. Machine wash warm or cool on a gentle/delicate setting, using phosphate-free detergent. Machine dry on a low temperature setting. Iron on the reverse side of the fabric. 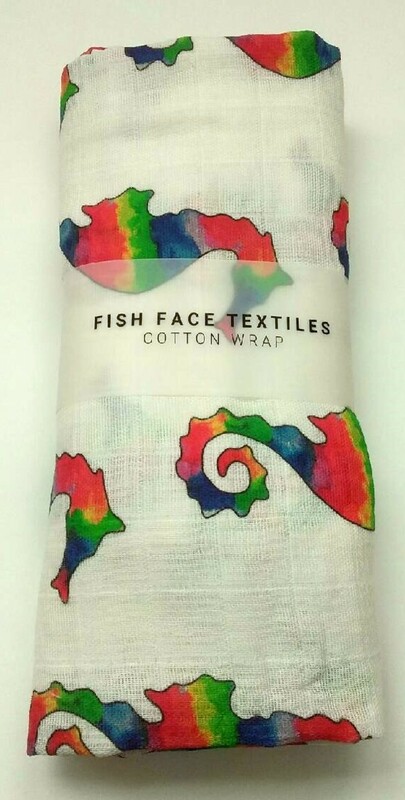 The fabric will crinkle when washed.